Notes: While I want this series to focus on work others have done, there was a period of history where I was writing the majority of news posts. I was looking over this one and thought I could clean up some of the mistakes and refresh some memories. Yes Savior is slumping, and yes Savior dominated, but on the other side of that there was Savior climbing the ranks. Having already won his first MSL over Reach, Savior looked to make it two in a row. In the bo5 winners final he fell to ChoJJa 3-2. After defeating an in-shape Iloveoov for the second series in the tournament, ChoJJa and Savior met once again. 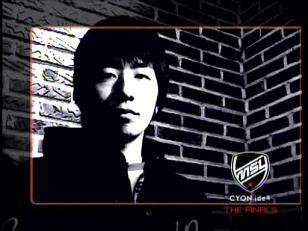 Here is the report from the finals of the CYON MSL. About IPX:Like all the new comers, he lacks in Game management. 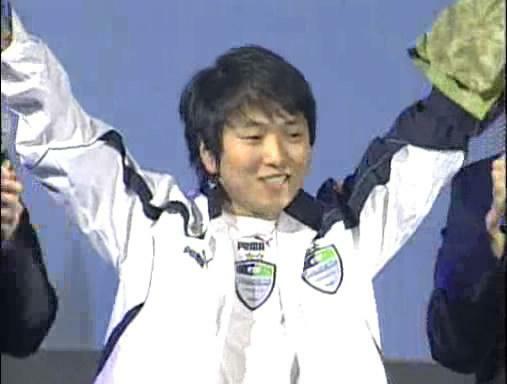 He's overall a powerful player against Toss, Terran, and Zerg. But ZvZ is MY game. About ChoJJa:Being one of the earlier pro, he's abundant with experience. Not just that, he has variety of styles. Getting ready against him won't be easy but I will try and show you my best. 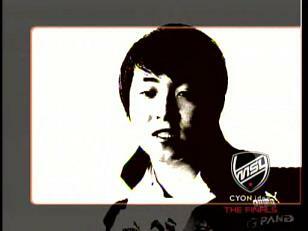 Ma Jae Yoon, aka IPXZerg, aka oov's worst nightmare has clambered back from the brink of the loser’s bracket for the chance at taking on a legend. Cho Yong Ho, aka ChoJJa, aka the fastest hands this side of anywhere, has blasted his way through this league, and has been the lone bright spot in a slumping KTF roster. ChoJJa comes into the match with a 36-25 record against his fellow overminds, good for 59%. Meanwhile, IPX flashes a less experienced but still winning 15-12. At 42-22 overall, IPX is a wrecking machine, and ChoJJa is a lucky man he doesn't play terran. Can IPX continue his dominant play of late, or can ChoJJa finally claim that illusive major league championship? Lets find out! ChoJJa got the Yellow hatchery and spawned at 5 while IPX sported teal and took command at 7. ZvZ games are fast and furious, and I can only imagine it would be exaggerated on a two player map with predictable flight paths. A very interesting way to open things up. With the overlords floating together predictably, ChoJJa made the first move dropping a 9 pool and gas while IPX went for a twelve pool followed by a hatchery at his expansion. ChoJJa waited at his ramp for his numbers to increase and started his lair without any sign of a second hatchery. When he had ten lings, he moved out, meeting IPX's initial 6 in the middle of the map. With a numerical advantage, IPX turned and fled, with ChoJJa in hot pursuit. 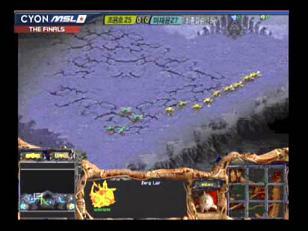 Progamer timing meant that when the yellow lings got to IPX's expansion, the speed kicked in and the new blood was in trouble. IPX had stared his own lair, but things were already spiraling out of control. ChoJJa ripped apart some drones, then left to kill the expansion hatch. IPX managed to gather enough lings to keep the top of his ramp closed, but back home Chojja already had a spire half finished. Knowing the end was near, IPX tried to break the ling containment at the bottom of his ramp, but ChoJJa held, and IPX tossed in the initial GG before seeing a muta hatch. This is a map ChoJJa hasn't beat a zerg player on yet being 0-2, while IPX is the exact opposite, having a 2-0 record vs other zerg players. Hopefully after a first game collapse he can pick himself up on a map that statistically he holds the advantage on. ChoJJa started the game with the same position and same colour as game one, yellow at 5. IPX, maybe slightly more agitated, was a darker shade of blue but was also at his initial starting point, 7. Let the cheese commence. IPX started with a 5 pool, and his lings came flying out. Unfortunately for IPX, ChoJJa had played the perfect counter build by going 9 pool and had lings at the top of his ramp in time. IPX paid this no mind, and with his 8 lings and one drone he rushed the ramp, forcing ChoJJa to retreat. Laying down an offensive sunken, IPX forced Chojja to bring his drones offline and into the battle. While his sunken fell, IPX microed his lings to hit drones rather than lings to compensate for his weak economy back home. When the dust settled, both players had five drones, with ChoJJa having the advantage of gas. Had he had time for 100? Damn right. With his lings standing guard below IPX's ramp and a sunken to defend his main, ChoJJa got his lair up before IPX and was pumping drones as fast as his stubby little fingers could hit sd sd sd. His spire was down before IPX could finish his lair, and he looked to capitalize by taking his natural expansion. IPX was till half a step behind, and while he too took his natural, the air belonged to ChoJJa. His initial muta kept IPX's lings at bay, and scourge placed over eggs ensured any hatched muta's would come into this world hurting. As ChoJJa moved his muta's into his opponent base, he should his fast hand skill by picking off scourge with sublime muta control. 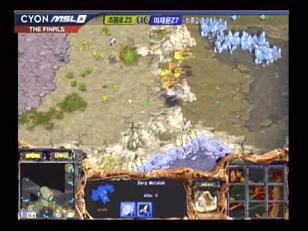 Unable to make a dent in his opponent, IPX tapped gg as his drones were reduced to smears on the ground. 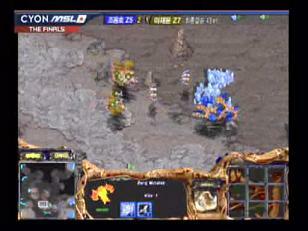 If last game was played on IPX's map, this game was all about ChoJJa. His overall record on Rush Hour was 5-2, but vs Z it was a sparkling 4-1. Also, continuing the theme of opposites, IPX was 1-4 vs Z on this map. He needed to come up with something special this game, already down 2-0. 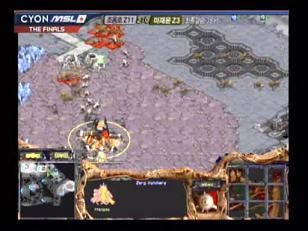 On this three player map, ChoJJa spawned as white zerg in the corner at 11, while IPX was brown over at 3. Both players wished each other a gg as the game started, as IPX sent his overlord in the right direction and ChoJJa's headed south. This game started at a slower pace than the first two, with ChoJJa 12 pooling into taking his expo, and IPX expanding and then dropping his pool. In the end, ChoJJa got an earlier lair and IPX had the benefit of more larva right away. With the advantage of more larva, IPX attacked quickly, with an equal force battle ending up in his favor. While ChoJJa still got his spire down faster, it had cost him his lings and several drones. IPX continued to apply the pressure, regrouping another ling force and attacking ChoJJa's expansion. With a cute move and superior numbers, IPX let ChoJJa chase him into a corner and then sandwiched him with the next group. The pressure was relentless, and although ChoJJa got muta out, they simply could not kill lings fast enough to save the drones. ChoJJa waited until he saw the 6 mutas of IPX, but knew it was over and tapped gg right after. Another map where ChoJJa has had zvz success, perfect at 4-0, was one where IPX was relatively inexperienced, having only played 2 games on it. However, as the last game showed, statistics are only the past. For the third time in four games, the players’ positions were ChoJJa (blue) at 5 and IPX (brown) at 7. The builds were similar this time, with both players getting gas and their pool after their second overlord. Four minutes in, both players already had more drones than in any part of the first three games. ChoJJa played on the razors edge by building lings later than IPX, and counting on travel time to help him catch up. It was dangerous play, but it allowed him to get a second hatchery down in his base faster than IPX, who decided to instead drop his at an out of the way gas expansion near 9 o'clock. ChoJJa played aggressively though, and had a bit of luck on his side. He dropped a third hatchery quickly at his natural, and a roaming overlord found IPX's hatchery at nine. Because he had more larva when his spire popped, ChoJJa was able to head to the brown zerg main with confidence. His muta's fought bitterly against IPX's force, while his scourge danced around the action before cascading in, ensuring a ChoJJa advantage. With two muta's left, IPX lost several drones before scourge arrived to save the day. However, things were grim in IPX's world. ChoJJa had three hatcheries and a fistful of drones. Both players showed their excellent control, striking soft spots with muta while dodging scourge. By sending a two pronged ling attack, ChoJJa forced IPX to chose between a new hatchery and his gas at 9. IPX defended his gas, but then lost all his 9 drones to a follow up ling raid anyways. Going all out with lings and scourge, ChoJJa cut down IPX's mutas despite godlike muta control. With his economy in tatters and ChoJJa taking another expansion at 1, it was now or never for IPX. He tried to make a counter attack at ChoJJa's natural, but lings and mutalisks attacking his own drones cut his hamstrings. ChoJJa finally massed up his own muta force and when the last flyer disappeared into a mist of blood, IPX tapped a "ggyo" and ChoJJa finally won his first major championship. It has come at last. Chojja leaned his head back and took a couple deep breaths. Then a big smile broke over his face and he exited the booth. It was his time, and he fully deserved it. His preparation for this match was evident, and he never once gave IPX time to draw breath. Even in the slower starting final game, his build gave pressure, and the advantage. ZvZ is a control matchup, with the steadier nerves always coming through. ChoJJa showed the class of a warrior today. As always, if you haven't yet watched these games live, you can always use our great bittorrent service. Top thread in the BroodWar section. A big thanks goes to those who help keep us up and running. Also, if you are looking for a little bit of pro StarCraft history, our articles section may be the most comprehensive English resource on the web. I never really liked ChoJJa, but he had some good games. It does seem like a great match between savior and chojja though. Thanks for bumping it mani! hurts to say but parts of this seem to be true. again. What there was a 1, 2 and 3. Or has it been a while since the last one? I loved the first few, keep going with these. There are a lot of gems among these articles and it seems that staff have the biggest ability to sniff them out. what the hell ever happened to chojja? is he in the military? And then, after Shinhan, ChoJJa clicked his heels together three times saying "There's no place like home", and was never heard from again. He lost in the finals of the next OSL, so he had a little bit left after that.